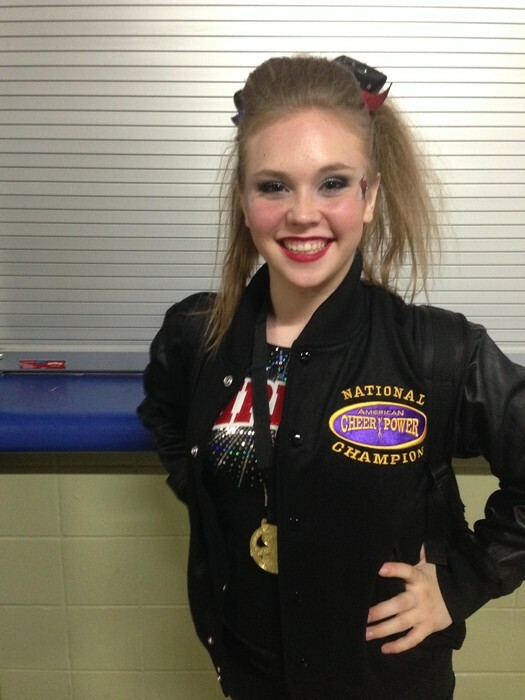 Though I live in New Braunfels and attend New Braunfels Christian Academy, I compete for the Stars Vipers Cheer and Dance Gym in Schertz, Texas. 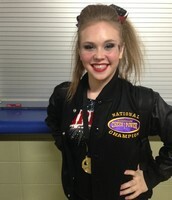 This past year I was a member of the Small Senior Level 3 Team -- Fierce Boas. We competed in nine competitions and brought home 6 first place medals, 5 National Championship titles, 2 second place medals, and received an invitation to compete at The Summit Competition -- where only the best teams from across the nation are invited to compete. This year I plan to compete for the Fierce Boas once more. Because we are a nationally recognized program, we compete at the highest level competitions across the nation. Last year we went to Tulsa, Dallas, Houston, Atlanta, Fort Worth, and Orlando besides our San Antonio area competitions. Between entrance fees, travel costs, uniforms and hair spray (lots of hair spray! ), competition cheer gets expensive. We could use some "fairy godmothers" to support us financially. Every little bit helps. In addition, we need prayer warriors. With all this practice, travel and competing, we need prayers for health and safety. 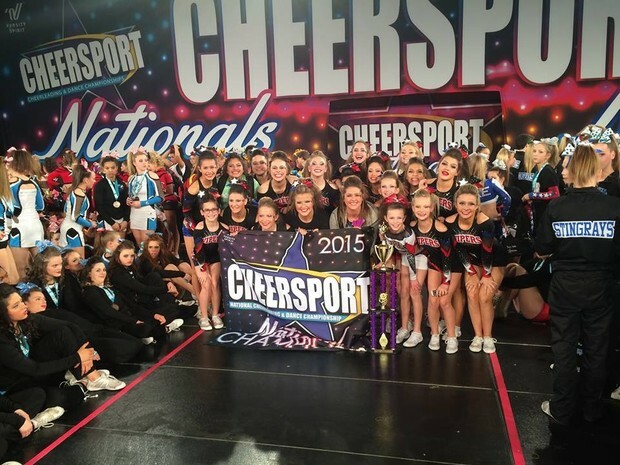 Enjoy our award winning performance last February at Cheersport Nationals in Atlanta! 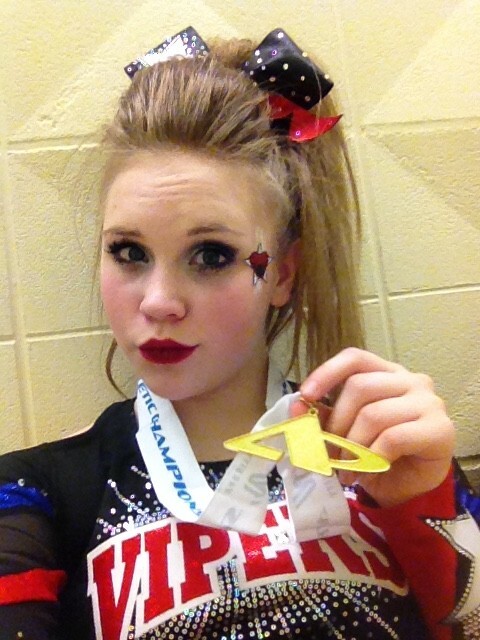 Looking back on our first year of competitive cheer, we realized we owe many of you an apology. We never thought to ask for sponsors and when our club T-shirts arrived, they were filled with company logos on the back. Hundreds of cheerleaders and parents wore them all over the country for 13 months. We felt a bit awkward promoting many of your company's competitors! We apologize and are making it right. This year, we are giving YOU an opportunity to advertise your company and include your logo on the back of our Stars Vipers T-shirts! Prayer -- Last season, we had a loosely organized prayer group. This year we would like to have a more organized group. This way we will let you know our prayer requests. We can share our victories and struggles with you. There is no way to do this without your support. If you'd like to join our prayer team, click the link below and fill out the form and you'll be added to our prayer support team! Financial -- Last season, we had no financial support and it was tough. If you would like to support us as an individual or family, you may do so through our gym website below. Be sure to enter GRACE MANSFIELD under the Viper Name box. We love all "fairy godmother" donations, large and small. We would love to advertise for your business! To do that, visit our gym website link below. You can upload a copy of your company logo/information and we can advertise for you all year long! 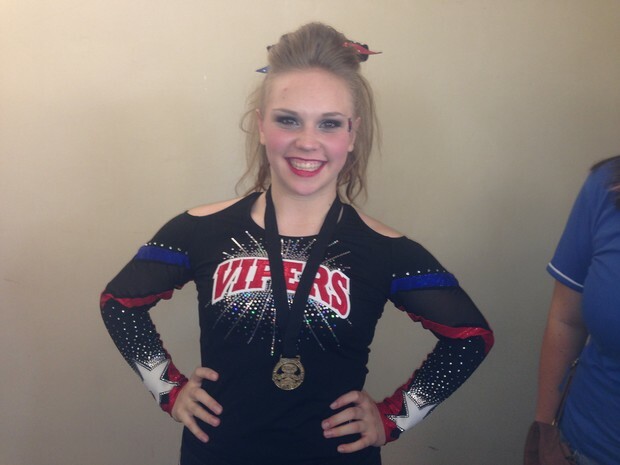 Be sure to enter Grace Mansfield in the Viper name box! 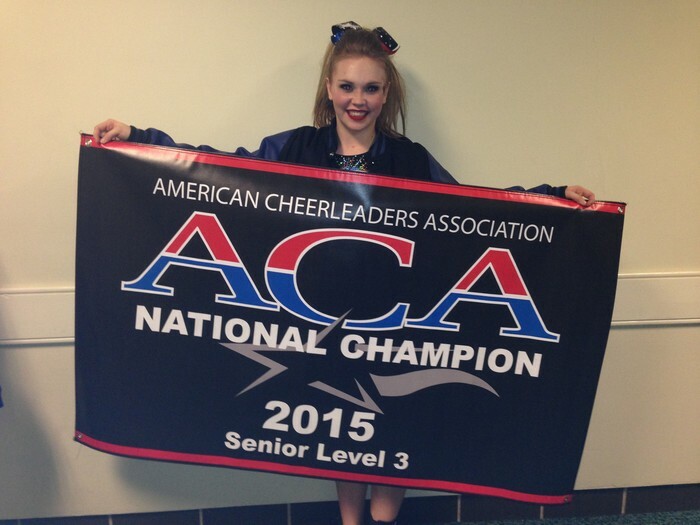 BE A SPONSOR TO OUR NATIONAL CHAMPION TEAMS!!! OUR TEAMS NEED SPONSORS TO HELP CONTINUE THEIR QUEST TO DEFEND THEIR NATIONAL TITLES AND TO TRAVEL TO THE SUMMIT IN FLORIDA TO COMPETE AT THE WORLDS LEVEL IN MAY. IN ADDITION, OUR LEVEL 5 TEAM HAS BEEN INVITED TO TRAVEL TO LAS VEGAS TO COMPETE AT THE ALL-STAR GAMES IN MARCH. WE WOULD LOVE FOR YOU TO BECOME ONE OF OUR MAJOR SPONSORS! WE TRAVEL MORE THAN MOST PROGRAMS FOR OUR FULL-YEAR TEAMS. THE REASON THAT WE DO THIS IS TO GET THE ATHLETES USED TO THE TOUGH COMPETITION, WHICH IS WHY WE ARE SO SUCCESSFUL AT THE NATIONAL LEVEL. THE COST FOR OUR COMPETITIVE TEAMS, BECAUSE OF COMPETITION FEE'S, TRAVELING, AND TUITION TOTALS OVER $4000 PER YEAR. YOUR SPONSORSHIPS CAN HELP WITH SOME OF THESE EXPENSES. WE INVITE YOU TO ATTEND ONE OF OUR PRACTICES SO THAT YOU CAN SEE HOW HARD THESE ATHLETES WORK THE ENTIRE YEAR. WE CURRENTLY HAVE OVER 200 ATHLETES ON OUR COMPETITIVE TEAMS, OVER 700 STUDENTS IN OUR WEEKLY TUMBLING CLASSES, AND OVER 1300 ATHLETES IN OUR SYSTEM WHO ATTEND CAMPS, CLINICS, ETC.. WE HAVE STUDENTS FROM SCHERTZ/CIBOLO, NEW BRAUNFELS, LA VERNIA, SEGUIN, SAN ANTONIO, AUSTIN, AND AS FAR WAY AS HOUSTON, TEXAS. YOUR ADVERTISEMENT WILL BE ON THE BACK OF THESE ATHLETES SHIRTS, ON OUR WEBSITE, AND DEPENDING ON YOUR SPONSORSHIP LEVEL, COULD BE DISPLAYED ON A BANNER IN OUR FACILITY. PLEASE FEEL FREE TO CONTACT US TO GET MORE INFORMATION OR TO SET UP A TIME TO VISIT OUR TRAINING FACILITY. 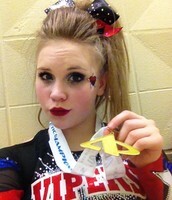 OUR WEBSITE ADRESS IS WWW.STARSVIPERS.COM THANK YOU! !